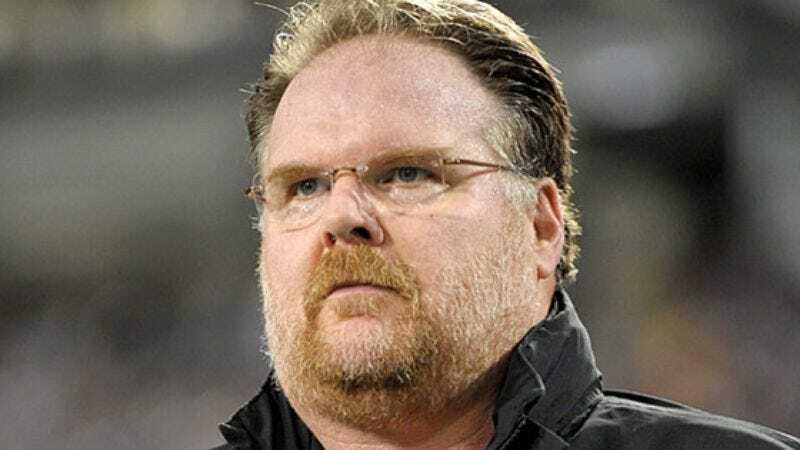 GLENDALE, AZ—In the type of wager normally placed between mayors of the cities playing in major sporting events, coach Andy Reid vowed to eat any number of Arizona delicacies should his team lose to the Cardinals, as opposed to local Philadelphia cuisine if his Eagles win. "Green corn tamales, tequila shrimp, Yucatán steam-roasted turkey; if they win, I promise you now that I will eat anything and everything Arizona has to offer," Reid said at Wednesday's media day, wiping the corner of his mouth with his sleeve throughout the press conference. "But if we win? Not only do I get to eat a nice big Philly cheesesteak from every major cheesesteak purveyor in the city, I also get some Pennsylvania Dutch soft pretzels, a plate of scrapple, and a hoagie of my choosing. Actually, since I've already paid for it, I might as well just eat both cities' foods. It'd be a shame to let it go to waste." When asked about the AFC Championship Game between Baltimore and Pittsburgh, Reid expressed a slight preference for crab cakes over french-fry-stuffed sandwiches.